Broadband International engineers and manufactures broadband amplifier “drop-ins,” complete stations and accessories - enabling broadband operators worldwide the ability to reduce customer service interruption and time-on-site for the technician while simultaneously eliminating the need for full-splicing when replacing modules. 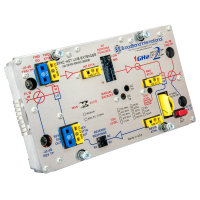 BBI’s modules are available in a variety of configurations and are designed to meet individual system requirements and interoperate with all existing industry amplifiers. Multi-vendor cable networks are complex; your amplifier solution shouldn’t be. 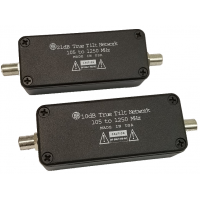 BBI provides the flexibility today’s operators need to deploy the right amplifier configuration for their network. BBI’s products are designed and manufactured in our state-of-the-art global headquarters in Medley, Florida. The “strength behind our signal” lies with BroadBand International’s elite team of engineers and global-reaching sales experts and customer service professionals. Our staff of over 150 engineers, assembly technicians, quality-control specialists, inventory management and shipping professionals guide the process from concept thru field deployment. From the smallest accessory to a full-scale, multi-module, complete station or drop-in solution configuration from 550Mhz to 1G, we’ll get you what you need, on time. BBI’s team of engineer’s custom builds and designs cutting-edge modules and accessories for the industry’s leading broadband networks. With over 40 years of broadband design expertise and hundreds of thousands of modules deployed worldwide, including most major cable operators, you’ll have complete confidence in our products’ performance and reliability. Our team of sales executives has over 75 years of combined broadband sales experience and will work with you to determine the right module approach for your network. BBI will work with you (we say “work with you” twice in a row) to determine your signal-strength needs, and help customize your drop-in or complete station configuration for maximized efficiency. Our post-sale professionals will provide you with personal service for any follow-up needs you may have. Select a Manufacturer to explore their products. Facility expansion scheduled to begin. Completed 1GHz - a new line of drop in modules. Introduced the 4-PAC, our most popular drop-in module. Introduced the Go Green™ jumper-selectable equalizer. Moved into wholly owned new state of the art facility. New engineering lab opened in Atlanta, GA.
First drop-in module - the 6-PAC-S - released. First designed and manufactured amplifier replacement board released. 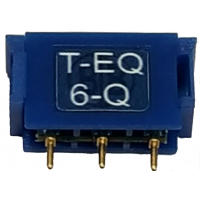 First line of all OEM plug in equalizers. BroadBand International founded, opened manufacturing facility.